Tomorrow the European Court of Justice will hear the case of a Pirate Party member from Bavaria vs. Sony Music (Case C-484/14, McFadden vs. Sony Music). There is concern that the Court could require open WiFi networks in Europe to be closed due to copyright enforcement. A broad coalition of industry players warns the Court of Justice about the “grave consequences” of requiring open WiFi networks to be closed due to copyright enforcement. EFF, OpenRightsGroup, Mozilla and others point out that open networks aid emergency services and disaster robustness while enhancing innovation. “Don’t Make Us Lock Down Our Networks”, says EFF. 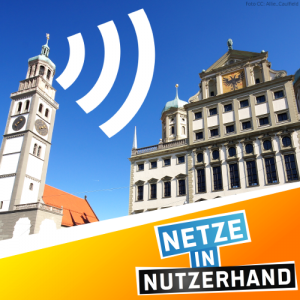 Due to its liability regime Germany lags behind when it comes to free Wi-Fi spots. The concept of “specific” obligations of intermediaries to “prevent” illegal user action should be given up in its entirety. Intermediaries should only be required to remove illegal content upon notification. Service providers should not be required to remove or disable access to information before it has been found illegal by a court of law. The e-commerce directive should be amended to include strict sector-specific privacy rules for information society services. Discrimination against users that legally exercise data protection rights must be prohibited. Providers of information society services should be required to ensure the confidentiality of our Internet use. In practice, this jurisprudence effectively forces providers to pro-actively monitor user-generated content, this being the only way they can avoid indictment.4 Culpable breach of the monitoring duty is punished by a disciplinary fine or even a prison sentence. This doctrine also has unacceptable repercussions on the freedom of speech on-line, because providers threatened by fines will – often using automatic and broad filters – block and prevent any content that they consider might infringe a third party right. This leads to the suppression of controversial but politically very valuable content, as intermediaries to not wish the battle on the legality of the content to be fought at their expense. Furthermore, German courts tend to go very far in what measures they impose on providers to prevent future infringements by their users: It was held that there was a duty to deploy technology to automatically scan all user-generated content for potentially infringing content.7 Users that have generated illegal content in the past must be subjected to a manual examination of any future content they generate.8 To this end, all users must be identified and the anonymous use of services must be disabled.9 All user actions must be logged.10 Content regarding issues that “provoke illegal reaction” must be examined manually.11 All of these duties have been imposed not for the prevention of serious crime, but for the mere prevention of infringements of private titles including commercial rights. These “preventive duties” imposed by the courts violate article 15 of the e-commerce directive, according to which Member States – including their courts – must not impose a general obligation on providers to monitor information which they transmit or store. Injunctions lead to a de facto obligation to monitor user-generated content,12 and thus amount to a general monitoring obligation. At any rate, the entire concept of “specific” obligations to “prevent” illegal user action is failed. In a democracy, everybody can trust in the integrity of their fellow citizens, even if it is known that this trust is sometimes abused. Fundamental freedoms constitute the foundation of justice and peace in the world.13 Freedom is the purpose of all law. Its benefits for every person as well as for society as a whole by far outweigh the harm done by its abuse. A prevention society aimed at eliminating, as far as possible, all potential risks of human behaviour and life is not compatible with European values and freedoms. According to general principles of civil law, only those need to prevent harm that have created a hazard source. The exchange of information is at the roots of human nature. It is a fundamental right (article 11 of the Charter of Fundamental Rights) and can therefore not be considered a “hazard source”. The provision of telecommunications services does not create a greater risk of rights infringements than the provision of any product or service. Typical, socially adequate and therefore legal risks do not put their originator in a position of being responsible for intentional violations committed by other people using the products and services provided. Also information society services are often similar to off-line activity such as personal discussions, noticeboards, CD recorders, photocopying machines or lockers. Internet users must not be discriminated in a way that puts them under permanent scrutiny and surveillance on-line where similar activities off-line are completely anonymous and confidential, simply because the Internet makes total control technically possible. The Internet must be kept as free as the rest of our lives. In information society we must defend our freedoms if we do not want to lose them gradually. Even prevention (or policing) technology that can reasonably be implemented or is industry standard must not be imposed on all service providers because of its devastating effects on freedom of speech. Filtering technology, for example, will by its nature suppress legal content that is merely similar to illegal content. This leads to the suppression of controversial but politically very valuable content, for example critical comments on companies and products or “fair use” of intellectual property. Policing is not the job of private companies. The concept of “specific” obligations of intermediaries to “prevent” illegal user action that is accepted in article 14 (3) and recitals 47 and 48 of the e-commerce directive should be given up in its entirety. Intermediaries should only be required to remove illegal content upon notification. The deterring effect of criminal sanctions is sufficient to “prevent” illegal user action. Service providers should not be required to “prevent” infringements. To this end, article 14 (3) ECD should read: “This Article shall not affect the possibility for a court or administrative authority, in accordance with Member States’ legal systems, of requiring the service provider to terminate or prevent an infringement, nor does it affect the possibility for Member States of establishing procedures governing the removal or disabling of access to information.” Recitals 47 and 48 should be deleted. The current liability limitations do not sufficiently protect free speech for another reason: A service provider that is notified of allegedly illegal content is not exempted from liability under the current directive even if is has reason to believe that the content may be legal. In practise this situation leads to the removal of practically any notified content without proper assessment of its legality, resulting in major damage to free speech on-line. Providers are being put in the position of a judge which they cannot fill. If they remove content which is later considered legal by the courts, they can be faced with high damage claims by the customer/user whose content was removed. If, on the other hand, the providers refuse to remove content which is later considered illegal by the courts, they can be faced with high damage claims by rights holders. A service provider that is notified of allegedly illegal content should therefore not be required to remove the content before its legality has been assessed by a judge in a preliminary procedure. Member States can design this procedure to be fast and effective. However its cost must not be borne by the provider as this would again have a chilling effect on free speech. The requirement of a court ruling is not too great a burden on rights holders. A preliminary ruling can be obtained within a day in Germany, for example. As to the cost, needy claimants can apply for legal aid. Also claimants can recover theirlegal expenses by suing the user that generated the content. On the Internet our every action can be tracked easily and comprehensively. Also information that was collected on the Internet is routinely lost or stolen. This situation has caused many potential users to refrain from using information society services, or even from using the Internet. For example a German poll16 found earlier this year that 50% of the polled have “often” refrained from on-line orders because they did not want to provide personal information that was required. 40% of the 19 to 29 year olds say the same. 18% even say they never order anything on the Internet because they do not want to provide personal information. 12% of the 19 to 29 year olds confirmed this. The collection of unnecessary personal information on the Internet thus constitutes an obstacle to economic development and employment in Europe. Looking for short-term profits, companies are often ignoring that their user screening practises are eroding consumer trust and thus the basis of their long-term success. Internet services could be provided with little or no personal data needing to be disclosed. For example anonymous payment can be made on-line by using pre-paid micropayment cards. The provider of an information society service shall offer the user anonymous use and payment of information society services to the extent technically feasible and reasonable. The provider shall offer the user anonymous use and payment of its services in particular where services of this kind are already being offered anonymously by competitors. The user shall be informed about these options. The provider of an information society service may collect, process and use personal data concerning the use of of an information society services only to the extent necessary to enable the user to use the information society service (transactional data) or to charge the user for the use of the information society service. The provider shall ensure that personal data generated in connection with the process of using information society services are erased or rendered anonymous as soon as possible, at the latest upon the end of each utilization, unless further storage is required for billing purposes. The provider may not make the provision of an information society service dependent on the supply of personal data that are not necessary for the provision of the service. The provider must not make the provision of an information society service dependent on the consent of the data subject to the processing or use of their data for other purposes than the provision of the service. Directive 93/13 of 5 April 1993 on unfair terms in consumer contracts should be extended to cover unfair consenting clauses concerning personal data. The provider must inform the user about the periods of time for which personal data is typically retained. Users that exercise data protection rights and attempt to end illegal data collection and illegal data processing practises are often silenced by terminating their contact or account. This way providers can avoid having to comply with privacy laws. This situation has devastating effects not only on the user whose account was closed, but for all other users of that service whose rights cannot be enforced and also for competitors that respect privacy laws and are unfairly disadvantaged. Discrimination against users that legally exercise data protection rights must be prohibited. The e-commerce directive should be amended to this effect. The confidentiality of our Internet use must be protected not only by the access provider, but also by providers of information society services. The e-commerce directive should be amended to include a similar provision to article 5 of directive 2002/58/EC. Overall, have you had any difficulties with the interpretation of the provisions on the liability of the intermediary service providers? If so, which? According to articles 12-14 ECD, these liability limitations do not affect the possibility for a court or administrative authority of requiring the service provider to prevent “an infringement”. It is unclear what is meant by “an infringement”. Apparently the legislator is referring to a specific infringement and not to any infringement of a kind. But what means can the provider be required to employ to “prevent an infringement”? Can ineffective measures be required that can easily be circumvented? According to article 15 ECD, this provision does not prevent Member States from imposing a monitoring obligation on service providers “in a specific case” or from imposing “duties of care […] in order to detect and prevent certain types of illegal activities”. It is unclear what is meant by a “specific case” and by “certain types of illegal activities”. How “specific” does a monitoring duty need to be? Can it extend to all users, to all content and to an unlimited period of time without being considered a “general obligation” in the sense of article 15 (1) ECD? It is also unclear what means the provider can be required to employ in order to “detect and prevent certain types of illegal activities”. Can ineffective measures be required that can easily be circumvented? Can measures be required that have severe side-effects on legal use, user privacy and free speech? Can measures be required that are unthinkable for similar off-line services, simply because they are technically feasible on-line? All in all the idea of private policing and infringement detection should be abandoned as explained above. Have you had any difficulties with the interpretation of the term “actual knowledge” in Articles 13(1)(e) and 14(1)(a) with respect to the removal of problematic information? Are you aware of any situations where this criterion has proved counter-productive for providers voluntarily making efforts to detect illegal activities? The interpretation of the term “actual knowledge” is controversial because it is unclear whether knowledge of the illegal nature of the content is required. If a provider is notified of allegedly illegal content, it often has no knowledge of whether that content is legal or not. For this reason a court should always decide on the matter as explained above. The knowledge criterion does not prove counter-productive for providers voluntarily making efforts to detect illegal activities, because those practises can be regulated in the provider’s terms of service. Obviously those contract terms must be subject to a fairness test according to directive 93/13. In my opinion, private efforts to detect illegal activities should not be facilitated but, to the contrary, made compliant with the rule of law. The removal of content without the consent of its author should be banned unless ordered by the judiciary, after hearing the user. The law may provide for interim orders issued by the judiciary. Those orders should expire if not confirmed in the ordinary procedure after a certain period of time. Providers must not be allowed to remove content in their own right because this has proven to have disastrous effects on the freedom of speech. 1 BGH, NJW 2004, 3102 (3103); DG Market, Study on the liability of Internet intermediaries, http://ec.europa.eu/internal_market/e-commerce/docs/study/liability/germany_12nov2007_en.pdf. 2 DG Market, Study on liability of Internet providers, http://ec.europa.eu/internal_market/e-commerce/docs/study/liability/final_report_en.pdf, p. 51. 3 DG Market, Study on the liability of Internet intermediaries, http://ec.europa.eu/internal_market/e-commerce/docs/study/liability/germany_12nov2007_en.pdf. 4 DG Market, Study on liability of Internet providers, http://ec.europa.eu/internal_market/e-commerce/docs/study/liability/final_report_en.pdf, p. 51. 5 DG Market, Study on liability of Internet service providers, http://ec.europa.eu/internal_market/e-commerce/docs/study/liability/final_report_en.pdf, p. 67. 6 DG Market, Study on liability of Internet providers, http://ec.europa.eu/internal_market/e-commerce/docs/study/liability/final_report_en.pdf, p. 51. 7 BGH, NJW 2007, 2636 (2639 f.). 8 BGH, NJW 2008, 758 (762) – eBay. 9 OLG Hamburg, Urteil vom 02.07.2008 – 5 U 73/07 – Rapidshare. 10 OLG Hamburg, Urteil vom 02.07.2008 – 5 U 73/07 – Rapidshare. 11 OLG Hamburg, Urteil vom 22.08.2006 – 7 U 50/06 – Heise-Forum. 12 DG Market, Study on liability of Internet providers, http://ec.europa.eu/internal_market/e-commerce/docs/study/liability/final_report_en.pdf, p. 51. 13 European Convention on Human Rights, Preamble. 16 Allensbach study in August of 2010, http://www.webcitation.org/5t9uDMnHb. Piraten-Klage: Verbietet der Europäische Gerichtshof offenes passwortfreies WLAN?